The second wave of free fiction arrives with numerous free e-books, a story at Mad Scientist Journal, and audio fiction from Every Photo Tells. I rarely say much about e-books, but 9 Tales of Henghis Hapthorn by Matthew Hughes [illustrated to the left] contains six stories that were published in The Magazine of Fantasy & Science Fiction so obviously the book is very good. Also be sure to check out Regan Wolfrom' roundups at SF Signal. Two people doing this makes it easier on both and means more good fiction is promoted. "After struggling for several months to find another position commensurate with my superior ability, my house foreclosed and I moved into my mother’s basement, where I now reside. Dark were the months that followed, filled with daytime television and frozen pizzas." • At Every Photo Tells: "Gayle’s Gift" by Richard D. Asplund Jr. Science Fiction. "Renard tries everything to bring back the love of his life." Devil’s Lair by David Wisehart. Fantasy. Patent Law by Larry D. Purvis. Science Fiction. Humor. The Battle for Sarvonne (The Knights of Oakshadow) by Richard Edmond Johnson. Fantasy. Mysterious Warriors by T. N. Hayden. Fantasy. The Erebus Equilibrium by Neil Cladingboel. Fantasy. Horror. Nathaniel Cage and the Portals of Truth by Caleb Summers. Dark Fantasy. Old World, New Day by Michael Speir. Science Fiction. Space Opera. Nites' Saga by Wayne Notto. Fantasy. The Bells of Subsidence - Science Fiction Stories by Michael John Grist. Ninja Nuns of the Fifth Apocalypse by Peter Flaxman. Paranormal. The Axiom Few by Huw Langridge. Science Fiction. Email From Mars: Outbound by Lon Grover. Science Fiction. Boo Noon by C.K. Edwards. Superhero. Thunder Island by Fury S. Madden. Science Fiction. Taliesin: The Making by Aaron Birdwell. Fantasy. Sleepless (Curse of the Blood Fox Trilogy, Book #1) by Sera Ashling. Fantasy. Decoy (A Noel Casey Novel) by Michaela Debelius, Military Science Fiction. Wail of the Banshees (Ghost Wars Saga) by Robert Poulin. Paranormal. 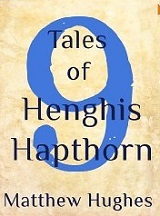 9 Tales of Henghis Hapthorn by Matthew Hughes. Science Fiction. The Erased by Grant Piercy. Cyberpunk. Chausiku: The Gathering Storm Book One by Pamela E. Cash. Paranormal. Blood And Guitars by Heather Jensen. Paranormal. Strays (Dark Fantasy) by Matthew Krause. Paranormal. The Charmer (Dark Lands) by Autumn Dawn. Déjà Rêvé by William Flowers. Vortex, Return of The Effra 1 by Lindsey J Parsons. Paranormal. 145k words. Scorned by Tyffani by Clark Kemp. Urban Fantasy. 86k words. "The Christmas Vampires" by Kevin L. O'Brien. Paranormal. "The Ironic Fantastic #2" by Ironic Fantastic. Fantasy. "Athemon and the Infernal Voice" by M.F. Soriano. Fantasy. "Tales From a Land of Gods" by M.C Queen. Fantasy. "Peter Pan 3080" by K.O.Reuben. Fantasy. "Lydia" by Chuck Grossart. Horror. "Slither" by William Case. Horror. "Mikanical - New Age Man" by Mikey Robert Simpson. Science Fiction. "Replica" by Hickory Cole. Science Fiction. "The Visitors - Arrival' by Owen Mooney. Hard Science Fiction. "Sci-fi Shorts" by Amy-Lee Winfield. Science Fiction. "The Clutter Box" by Adam Howell. Science Fiction. "Funscreen" by Craig A. Falconer. Science Fiction. "Lights in the City" by E.M. Noble. Apocalyptic. "Death of a Salesman's Boss" by Dan Absalonson. Science Fiction.